…Explain them that Pilates was a gentleman, not a lady … poor Joseph! 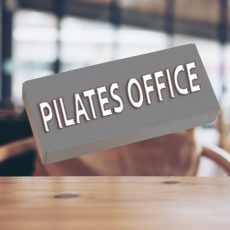 Well yes, Pilates is a discipline designed and developed by a man and although it is now more widespread among women (who first have recognised its benefits), remains very effective even for men, regardless of age, training and health. And all the others ??? …indeed, dear men, Pilates has never killed anyone: come on, step forward !!!! 1- Increase your flexibility: Men are generally more stiff then women … shouldn’t you start doing something about it ??? 2- Working muscle groups that are not usually used in typically male sports / activities … you really still want to concentrate just on a nice pair of pecs … and look like hunchbacks / chimpanzees when viewed from profile? 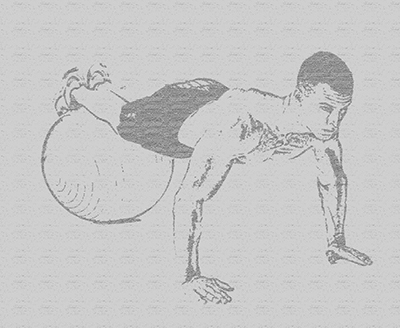 But let’s go further … why a man is usually reluctant to pilates? 1- PRIDE: to attend for the first time a class and feel “inferior” to almost all the women in there … it’s hard to swallow. Why inferior? Because the man usually has less elasticity and less control of his body for what concerns small movements and quality of movement … and feeling to make a huge effort simply to hold a leg extended or sit up straight, when the woman on the side , maybe even more aged, seems ready to sleep in that position … well … it’s a blow to your pride! B– If you endure for a while, even your muscles start to react and to grow … and at that point you will feel proud of yourself for not have gave up on the first strike. 2- PRIDE: tell your friends that you do Pilates “a women thing” … Do you know how they tease you ?? 3- IGNORANCE: in the sense that you ignore that Pilates is like a foreign language: You cannot think you want to change your life and come to live in Italy if you just know the words “pizza, pasta, ciao bella!” where do you want to go? Similarly, you can not expect to change your body and become aware of it and use it at its best if you do not learn before its vocabulary … Pilates is a means to achieve this knowledge. B- Stop ignoring that knowledge opens many borders … so many, that before you cannot even imagine …. Try to be open to pilates with humility and curiosity … worst case scenario: you can always opt for an English course !! !